Qi Gong (pronounced chee goong), is a health practice that has stood the test of time. Many fads come and go, but like Yoga, Qi Gong has been practiced for thousands of years. Originally in China. Qi Gong involves movements, postures, breathing methods and has meditative aspects. There are many different types of Qi Gong, each having a specific benefit. But what are the main benefits of Qi Gong? Why has it been practiced for so long? Personally, I’ve found the main benefit of Qi Gong to be increased energy levels. Significantly. Tangibly. And within 24 hours of practicing it. While teaching Qi Gong in the last decade, the most common benefit that students report is improved sleep. Even after their first one hour class. Why don’t you try it and feel the benefits for yourself? The benefits can come very quickly. 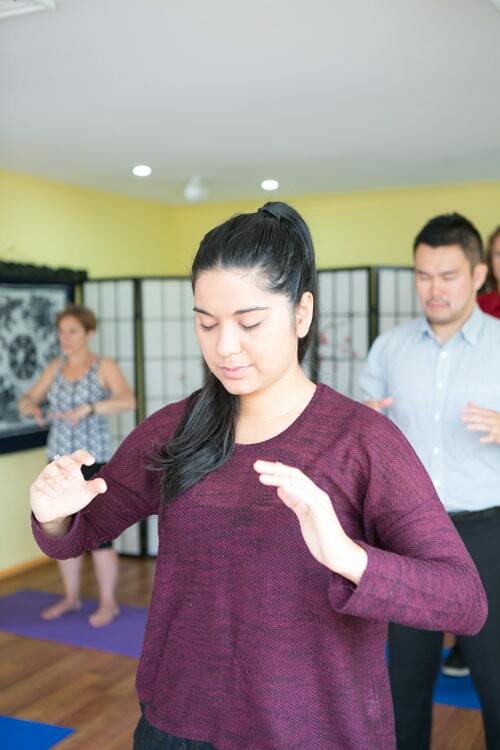 We have regular Qi Gong classes and workshops at Freedom Chinese Medicine in Ivanhoe, Melbourne. Click here to read more about them. Wishing you improved health and that you can reap the benefits that Qi Gong can bring. I love that once you know some simple Qi Gong exercises, you can practice it anywhere, anytime, for no cost. It’s a skill that can keep on giving..